Typical areas of application are compressed air, cooling water, steam and transport of other media than water. For most of these applications the standard O-ring and working pressure are sufficient to meet the specifications requested. When talking about working pressures above 16 bar, higher working pressures can be released depending on the application, the applied press tools and the dimensions and with due regard for the safety factors applicable for the specific applications. 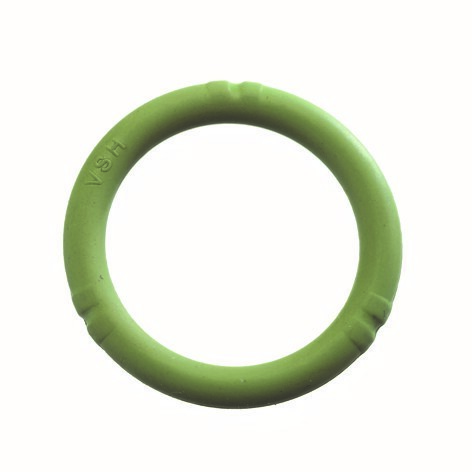 For high temperature or foreign media applications alternative O-ring compounds exist, a green and grey FPM O-ring. For closed loop systems VSH XPress Carbon is most of the time the best choice, but when looking to open systems it's VSH XPress Stainless or Copper which are the solutions of choice.